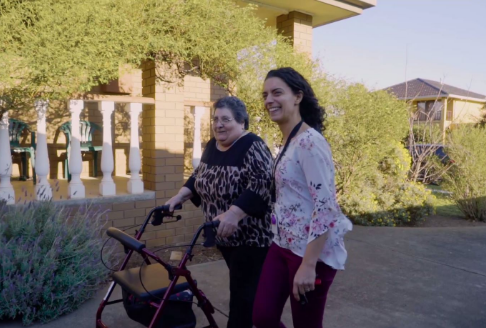 More than 700,000 Victorians provide unpaid care and support to a family member or friend who needs help because of an illness, disability or age-related care needs. Of this group, almost 240,000 are primary carers, meaning that they provide a substantial level of support to their loved one. Taking on the role of a carer can be a gradual process, as health and independence deteriorate over time, or can happen suddenly because of a health crisis. The word carer can be confusing – many husbands, wives, sons, daughters or other family or friends who look after a loved one don’t use this word to describe themselves. And because many people do not know they are ‘carers’, they do not access the services and support that are available to them. While caring for a loved one is rewarding, it can also be emotionally and physically challenging. Carers often suffer from fatigue or the symptoms of stress or a chronic health condition. Carers can feel isolated and can miss social and leisure activities due to their responsibilities. Many carers put their own needs behind those of their loved one – and their work, friendships and relationships can suffer as a result. Respite care refers to short-term care, either in or out of the home, which allows carers to get out and do other things or simply relax. Some carers worry that using respite care is a sign that they aren’t coping or are avoiding their responsibilities. But in fact, regular planned respite care is a sensible strategy to help carers avoid fatigue and ‘burn-out’ and to continue to support their loved ones well. It can also reduce tension in households, and gives the person being cared for a chance to expand their social connections and reduce feelings of isolation. This option involves one of our Personal Care Workers coming to your home so that your carer can go out. Depending on what you need, these visits can be for a short time, or for longer periods including overnight stays. Alternatively, the worker may take you for an outing for a few hours while your carer has a break. This allows carers to attend to their work, social or health commitments. Social activities and outings, such as day trips, theme days, art and craft, games and culturally specific group activities. Day centre respite care, where care is delivered by qualified and experienced carers in a friendly and comfortable environment. Overnight respite stays, such as short-term stays at Baptcare Southaven in Bentleigh. Stays can be as short as one night, and do not require an ACAS assessment. For some carers, this gives them the opportunity to get away or even just to catch up on some well-deserved sleep. 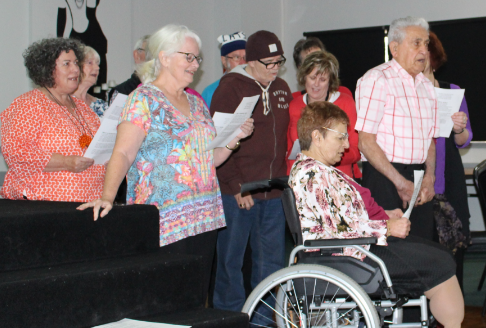 You may be eligible to receive support to access centre-based and overnight respite via Community Home Support Funding. Home Care Package Tip: Home Care Packages are intended to meet your specific care needs, which may include support for your carer such as in-home and out-of-home respite.